ASK ABOUT CHEAPER FERRIES AS WELL! 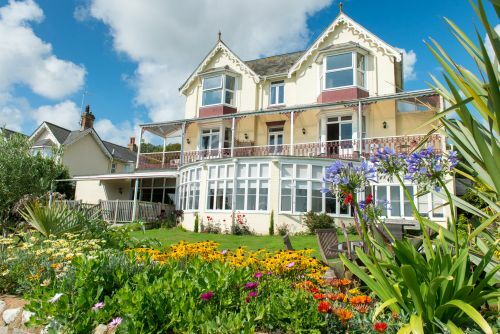 The Clifton, Shanklin Isle of Wight Holiday guest accommodation Brimming with coastal charm, this oasis of calm is perched perfectly on Shanklin's clifftop, it's the home from home where you can make yourself comfortable in one of 15 individually designed bedrooms. 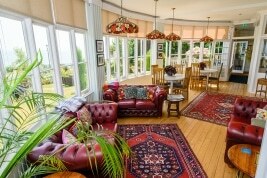 Our conservatory and South facing award winning garden offer an ideal location to appreciate the view across the water. The Clifton is the place to re-engage with the simpler pleasures in life. Come and visit and you'll find we don't fuss, we just do the simple things really well. And with staff that are always ready to add that little extra to ensure your stay is perfect, the Clifton is one seafront hideaway that you might just want to keep all to yourself. Parking is free in our own car park. Expect to find good beds, powerful showers and an excellent breakfast. Escape for a deserved short break, escape the kids or escape from your conventional corporate business accommodation. Why not escape with your friends or family and book the whole house for your very own House Party. 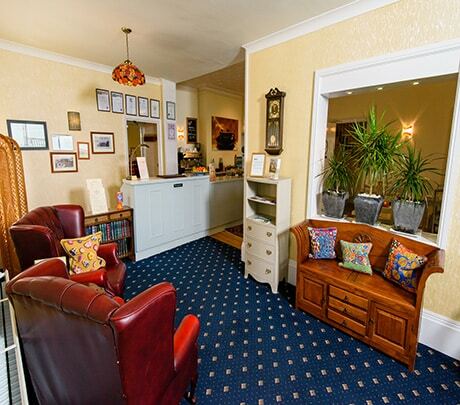 Daytime at The Clifton - Papers, magazines, sofas and free wifi too ! 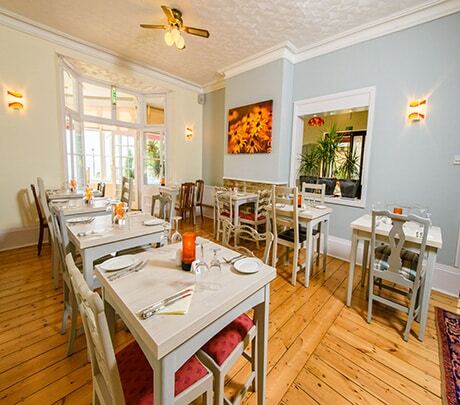 Whether it's a cappuccino, a glass of wine from our really good, fairly priced wine list, a G+T from our gin menu, a local beer, perhaps some nibbles or a cream tea from our cafe menu, the cafe menu is served till 8.00pm. What's not to like about daytime at The Clifton? Evening meals - We don't cater for full evening meals but there are some excellent pubs and restaurants in the Old Village and on the seafront, all within a 5 minute walk. Please note that The Clifton does not accommodate children under 10, nor do we accommodate any four legged friends. BOOK DIRECT AND ASK ABOUT FERRY DISCOUNTS. 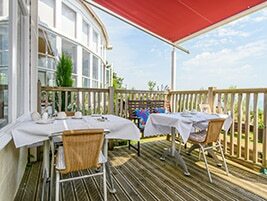 The Clifton works closely with both Red Funnel and Wightlink Ferry companies to get you the best deal possible to travel to the Island. Please ask for details of our preferred ferry rates when booking direct, subject to availability.